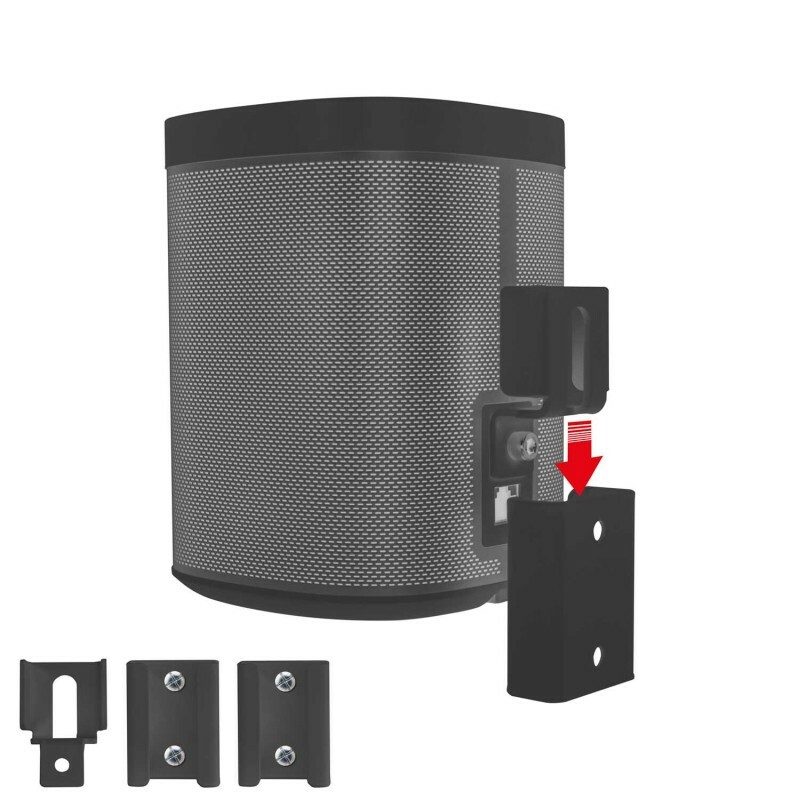 Looking for a wall mount that allows you to hang your Sonos Play 1 down everywhere without additional operations? Then you can contact Vebos. You order this portable wall mount that allows you to hang your Sonos Play 1 anywhere just by sliding it down. 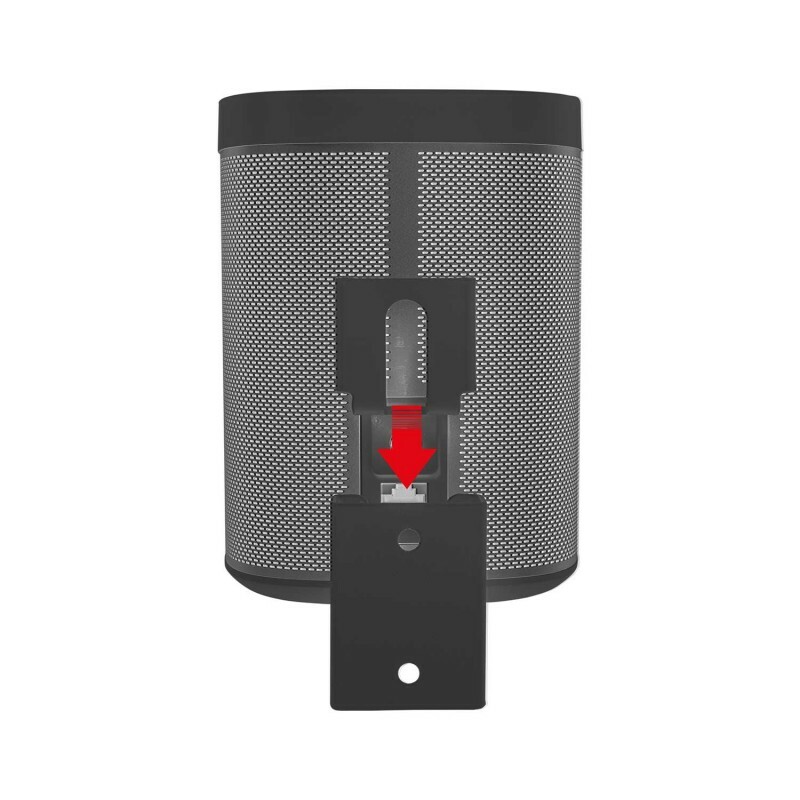 With the portable wall bracket from Vebos you simply slide your Sonos play 1 into the wall bracket. The set comes with two or more wall brackets that you simply hang in your living room, kitchen, patio, office or bathroom. 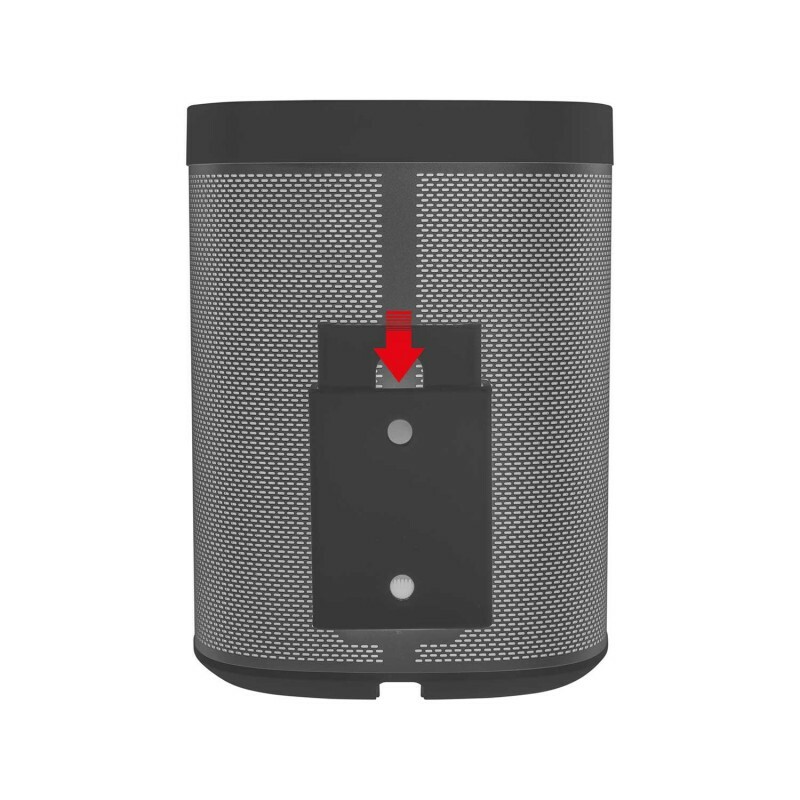 So hang your Sonos Play 1 in the desired location, easy in the wall bracket! 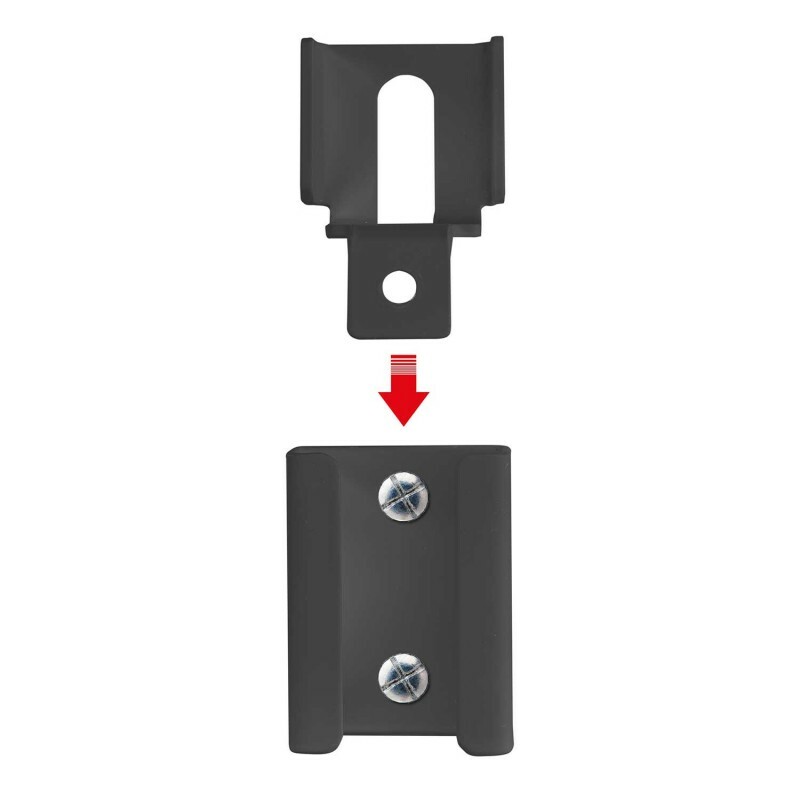 The wall mount for your Sonos Play 1 is made of high quality steel. It is finished with a beautiful powder coated in the color of your black Sonos Play 1. 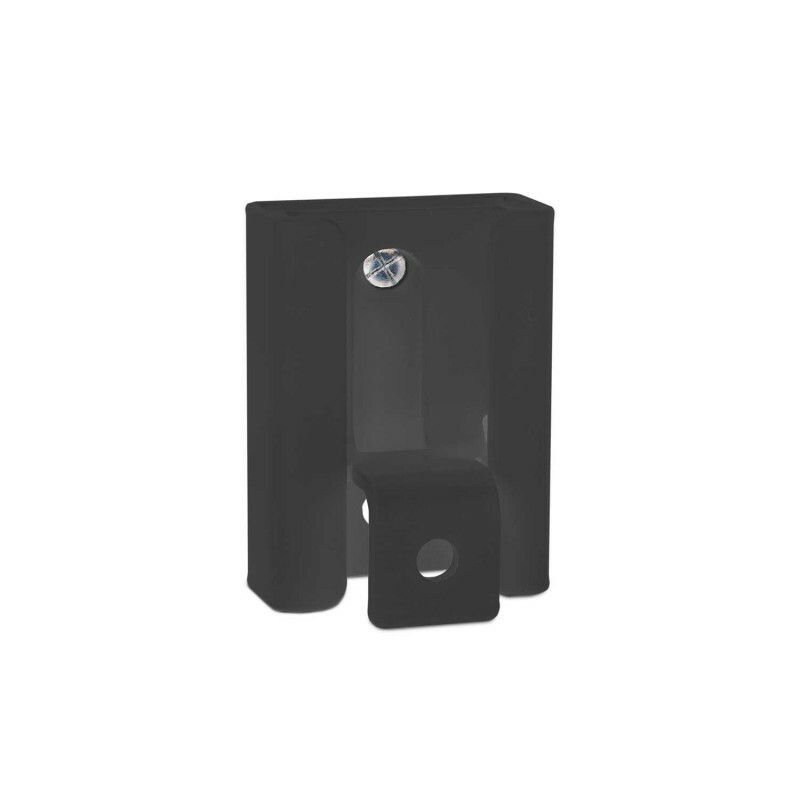 You order your Vebos portable wall mount Sonos Play 1 black in our shop. Questions? Contact us.